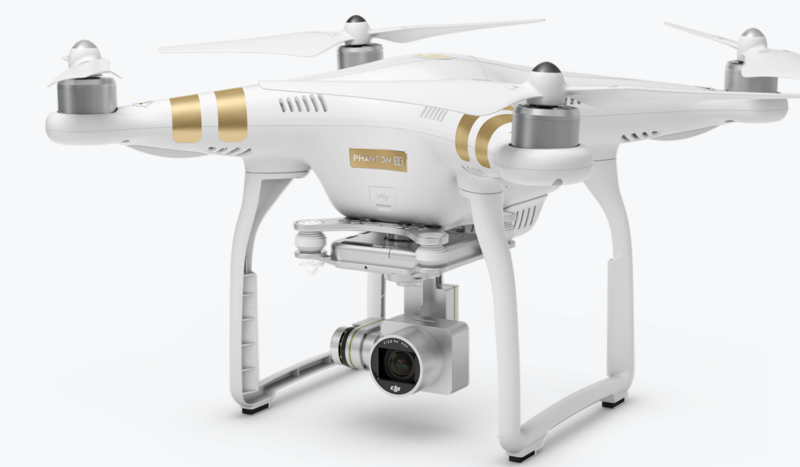 DJI has introduced a new (updated) model of the Phantom 3 which is far superior to the "Standard" model and only $100 more. For that price you get a top notch 4K capable camera, the VPS (ground sensing) system and a new upgraded wireless connection which increases the drone range to as much as 4KM. Note – we suggesting cutting these maximums by 50% for your use in most normal situations….but, realistically, even 1 KM is fine for most of what drones are used for. What it does NOT have is the "lightbridge" DJI system, which is an advanced wireless protocol…with longer and more reliable range (in many cases). The Phantom SE (Special Edition) is a well kept secret – but it shouldn’t be.